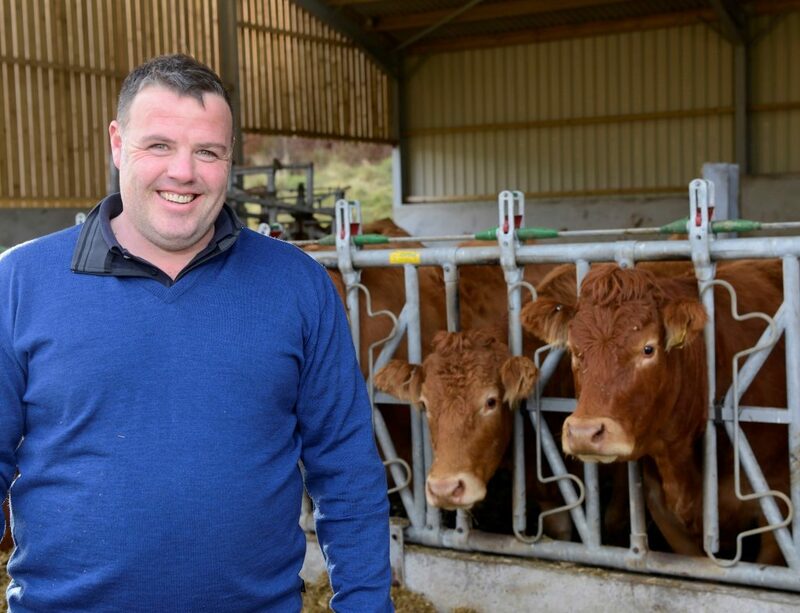 Farming in one of the wettest parts of the UK brings with it a few challenges but a herd of pedigree Limousin cattle have adapted to the climate and are helping to improve margins at the Cameron family’s Strone Farm near Fort William. Strone is part of Lochiel and Achnacarry Estate. 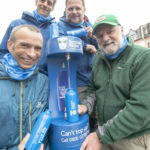 It runs to 1,200 hectares and rises to 2,800 feet above sea level, while a few fields border the picturesque Caledonian Canal. In 2016, it was selected as the Lochaber monitor farm, one of nine monitor farms established around Scotland in an initiative by Quality Meat Scotland (QMS) and AHDB Cereals & Oilseeds. The aim of the programme, funded by Scottish Government, is to improve the productivity, profitability and sustainability of Scottish farms. Malcolm Cameron has worked for the estate since 1969 and got the chance of the tenancy in 1990 with wife, Eileen. 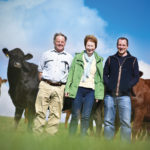 Son Chris came home in 1996 following three years at agricultural college and in 2002 set up his own farming business. He now works full-time on the farm and has largely taken over the day to day running of the business. Chris and Malcolm were keen to take part in the monitor farm process having been active in previous groups in Argyll, and Chris believes it has made him question everything he does and given him a better understanding of where improvements can be made. The farm is stocked with 50 Limousin cows and 520 North Country Cheviot ewes. Malcolm bought his first cow in 1993 from the Anside herd and a second a few years later from the Greenwell herd and the whole herd can be traced back to these two foundation females. The family have deliberately avoided any extremes in the breed and carefully select bulls on their maternal traits such as ease of calving and milk. A plus point for the Limousin, according to Malcolm and Chris, is that the cast cows are worth good money at the end of their useful lives. 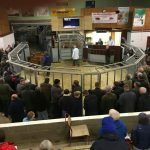 They also sell a few bulls naturally from home, with the best going for £3,500. The family may sell a few breeding heifers in the future but, as Malcolm and Chris have been keen to expand the herd at Strone, all the heifers are currently retained. The rest of the calves are sold at Dingwall at around 10 months of age when they average 350kg liveweight. Despite advice from the Monitor Farm Group, the Camerons continue to calve all year round, which they believe best suits their system and they are still able to keep individual cows’ calving index under 370 days. An advantage the of operating a year-round calving system is that the Camerons need fewer bulls, so can afford to spend more when they do invest in a bull. Apart from that, they have to be careful with their grass utilisation and do not have the grass available to turn out a batch of 50 cows and calves in the spring. Less than 50 hectares of the farm is suitable for cutting silage, so the family have to manage it carefully. The dry cows can make use of a further 50 hectares or so of marginal land but none of the cows goes to the hill, which barely supports the sheep flock. All cattle are housed from October through to May. Following advice that has come from the Monitor farm meetings, the Camerons now bull heifers four months earlier at 15 months. They are also weaning spring-born calves and managing them separately to allow cows more time to recover before calving again. This year, for the first time, the Camerons finished the lambs at Fort William by weaning early, housing in a shed which came with the farm, and feeding. The results have been very positive. The Camerons regularly host monitor farm meetings at Strone which attract many farmers. The family find it encouraging that so many people are interested in improving their farms in a challenging environment. Chris said: ‘Farmers in Lochaber are genuinely scared they won’t be able to continue to farm. Their businesses are unbelievably fragile and are constantly being told to cut costs which leads to them not investing in their farms and the utilisable land shrinking, therefore compounding their issues.